The 100th Jubilee of the first production of the opera “Eugene Onegin” by Pyotr Ilyich Tchaikovsky will be celebrated with a spectacle, whose author is the stage director Vera Petrova and with a special photo exhibition. “Bulgaria continues to give birth to wonderful singers. 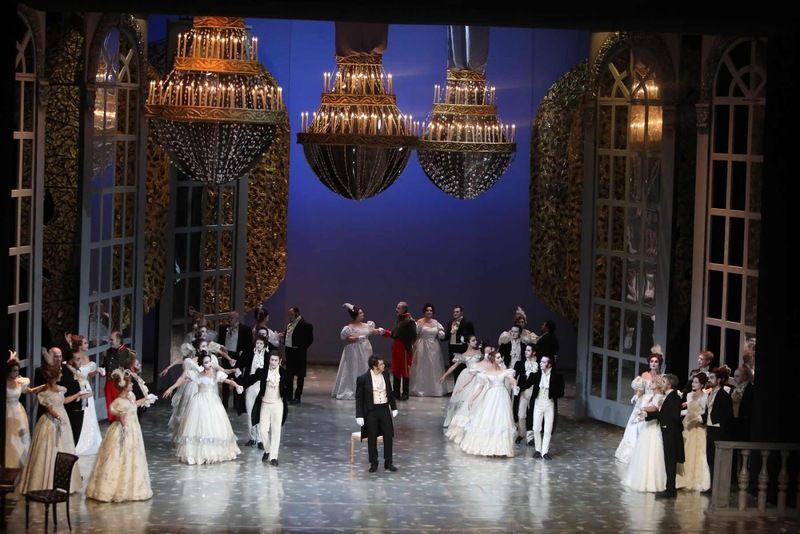 The artists, who we shall see on the stage of the Sofia Opera and Ballet, are the new generation of talents, at that quite young – up to 35-year old. The newest member is Stefani Krasteva, who is making her debut in the role of Tatyana – one of the most difficult and hard soprano parts”, told the Deputy Director of our first opera theatre Mrs. Vera Petrova. The photo exhibition, which will present archive photos, is made by the literary manager of the Opera – Milena Nikolaeva. “We follow the tradition, but also our mission to continue training and presenting new generations of artists. In the spectacle will sing also Violeta Radomirska, who recently presented herself on the stage of La scala”, added Vera Petrova. 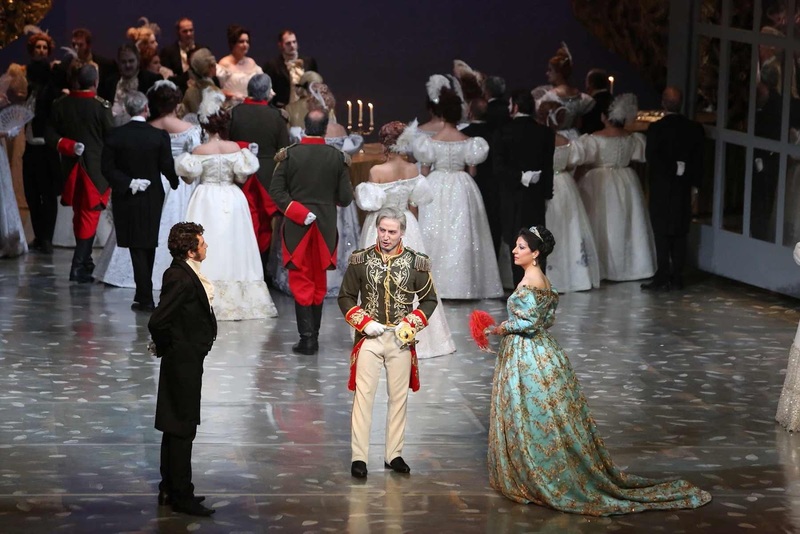 The spectacle “Eugene Onegin” was shown for the first time at Teatro Verdi in Trieste, Italy. The Italian audience applauded the production, which achieved exceptional success and won a high esteem on the part of the critique. “Everything begun in 2016. The surprise was big, because the theatre in Trieste itself chose the production, at that for the opening of its opera season. For me – as stage director still at an early phase of my developing career, it was a big challenge to stage in a country, which had given the birth of the art of the opera. I am happy with the success and I was flattered by the reaction of the critique. Really, for me it was a great pleasure. There I worked with an entirely Italian cast. 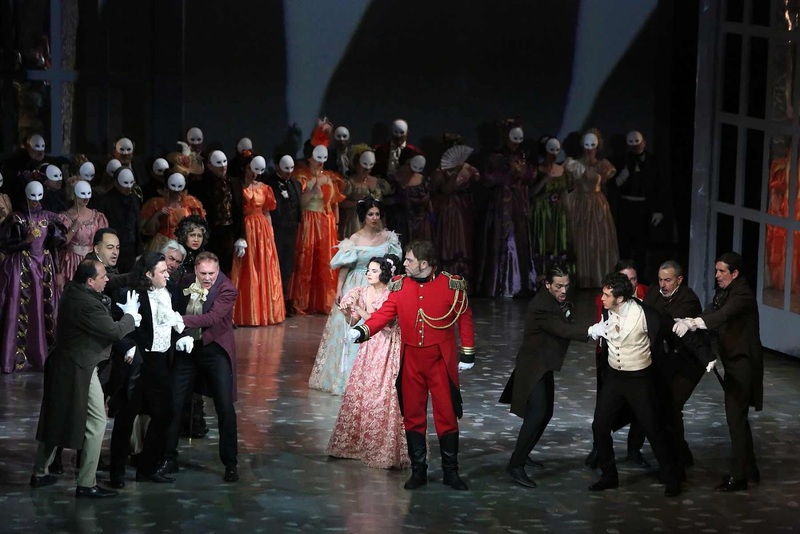 The Sofia Opera gave to the Italian colleagues’ disposition the sets and the costumes, the soloist cast was international”, explained Vera Petrova. She declared frankly that for her it is a pleasure to try new things, to show a different style. “On the background of our lyrical Slavonic style, there the production acquired a little bit more film rhythm. And because of the fact that the conductor – Fabrizio Maria Carminati, had a little bit more thickened concept about the things, it turned out to be a new, individual reading of the music and the dramaturgy”, commented Vera Petrova. The poster of “Eugene Onegin”’s production exposes the overall film aesthetics and stylistics of the costumes, the sets, of the overall visual solution. 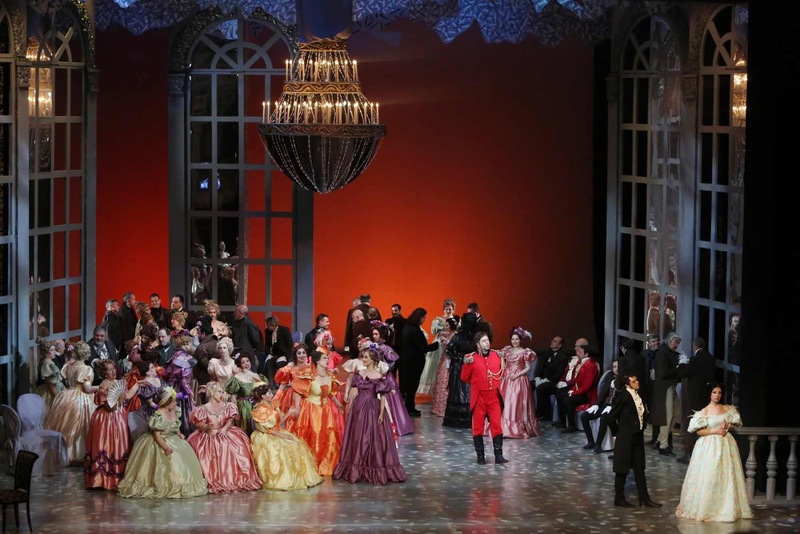 “The merit is of Steve Almerighi – costume designer, who besides being an opera designer, is also a movie stylist and he was insisting on every detail in the clothes”, pointed out the spectacle’s stage director. The sets – exceptionally elegant, mobile, not imposing themselves by the dynamics of the movements and the changes, are made by Alexander Kostyuchenko. They are made with finesse, measure and refinement. And they are in full harmony with the stage director’s conception. “Tchaikovsky and Pushkin offer us depth – of looking for one’s own self, of self-discovery. They set us as premise to part on a journey, inwards towards ourselves”, told Vera Petrova. “For me the greatest challenge was to make a deep analysis and to follow the retrospective path, on which passes Onegin. The action is chaotic and it is situated in a short dramaturgical and life period. This entire lack of realization of the characters was endlessly interesting in the research. 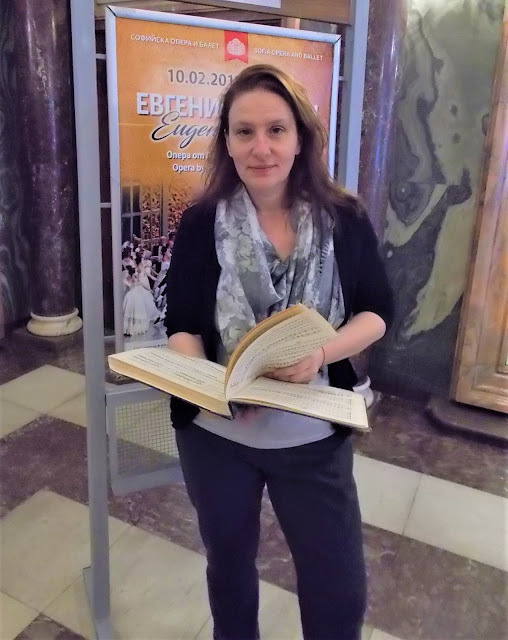 My approach was to decipher the dramaturgy as a deep and retrospective trip from the point of view of Onegin’s experiences, thoughts and states”, explained Vera Petrova. She admitted that in her work she was always doing her best to enter maximally into the text and the music. “This is one of the stage director’s principle lines, which follows the team of the Sofia Opera – to decode the messages of the scores and the dramaturgy and not to do anything as an end in itself or opposed to what the authors have written”, was categorical the stage director. “I know well the history of the operatic art in our country, we follow the tradition and we continue to create in direction to the future, because art changes every day, but we always step on the milestones and the bases. It is important how we shall pass through the decades and enter in the new time, in the new century, without vitiating the classical art. The biggest question marks are regarding the reading, the communication with the audience. It is difficult in our time to resist to the temptations or the provocations, created as superfunction of the pseudo-creativity. At the same time, we must stand up for the law, which doesn’t permit to be overshoot the marks – aesthetical, musical, professional. It is necessary to keep the balance, but also to look for and show modern trends, valid for the other arts. We cannot stay isolated. But never we should go outside of the author. One should not do things, which don’t exist. Something more! The opera must continue to be leading, because, I will give you an example, before Tolkien’s “The Lord of the Rings” to appear, appeared Wagner’s whole cycle “Der Ring des Nibelungen”. The opera has proceeded these interesting sagas, which are being made today in the cinema. We have always to be the first, without, however, distorting the perspectives of the genre, because in the opera all arts are present”, summed up Vera Petrova. She underlined that opposite to the staff problem in the country, Sofia Opera educates new generations of professionals – at all levels and in all divisions. The topic for the founding of a museum of our first opera theatre and the fight for the building of the Sofia Operas, where are situated the headquarters of different parties at Vrabcha Str., are part of the important cases, which don’t stop to be up for discussion for the theatre’s management. The views in the political thinking is obviously missing the role of culture, which has contributed at most for the name of our country in international plan. The institution Sofia Opera and Ballet, which gets applauded all over the world, still cannot reach to its museum. But it continues to insist in front of politicians, district governors, political parties, statemen and rulers to realize as soon as possible that the founding of an integral cultural national complex, which to be in natural entity with the National Opera and Ballet, is not only a duty to the cultural institution of Bulgaria. The will to resolve with reason and understanding the case favourably for the Opera, will be an expression of the care and the recognition of the state for the theatre, a demonstration of strategical and visionary patriotic thinking. The Deputy Director of the Sofia Opera and Ballet Vera Petrova confirmed the announced some time ago information by the Director – Acad. Plamen Kartaloff that on is an intensive preparation for a new summer opera format, which would look for its faithful audience in different destinations.